Hey everyone! I am so excited to be back and writing an article for Food Fit Fab. I wanted to talk about one of my main styles all through out these gorgeous sunny months. I am all about bohemian trends in the summer. In fact I love bohemian styles year round but something about summer just screams at me to wear flowy, effortless pieces. With music and art festivals all around you are bound to see a lot of this style through out the summer. And be sure to experiment with it! There are no rules, mix baggy pieces with tight, go for an all baggy, flowy look, or a fitted maxi dress! This is just one of my favorite looks that I have recently shot that captures what I love about Bohemian Chic. Also below find my top 5 boho chic essentials to kick off your wardrobe! Boho Chic Essentials to get you started off right! 1. 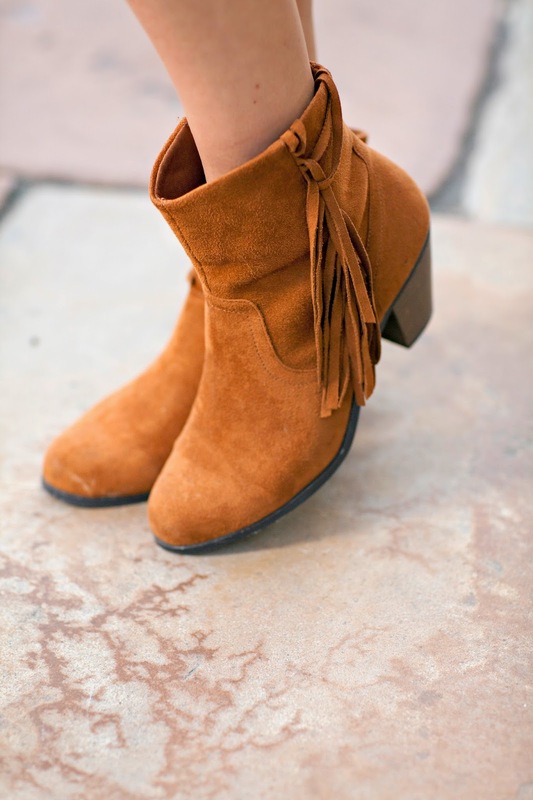 A killer pair of booties! To wear with shorts, skirts, dresses… you name it!2. A Printed Maxi Dress.. Wear it alone or layer it with a fun vest! 3. A floppy hat or fedora for summer or winter. 4. A flowy top for all seasons..
5. A kimono to wear with dresses, skirts, shorts, and pants!! !